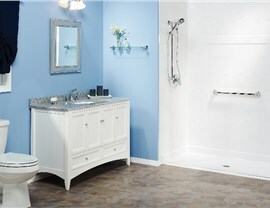 We'll save time and money on your next bathroom remodel without compromising on quality or durability. 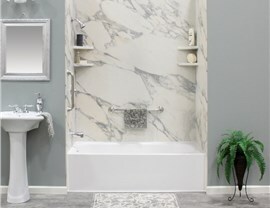 If you’re tired of showering or bathing in a feature that’s clearly past its prime, why not get started today on the bath remodel you’ve always wanted? 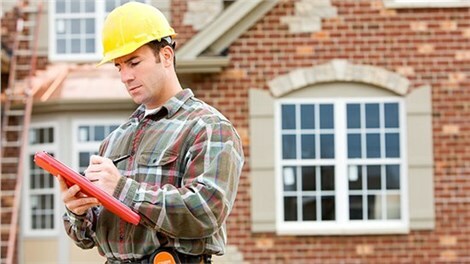 At Get A Pro, we’re a locally based bathroom remodeling contractor that puts our clients’ needs first. We maintain an A+ rating with the Better Business Bureau, and our entire Ackworth bathroom remodel team shares a commitment to 100% satisfaction. 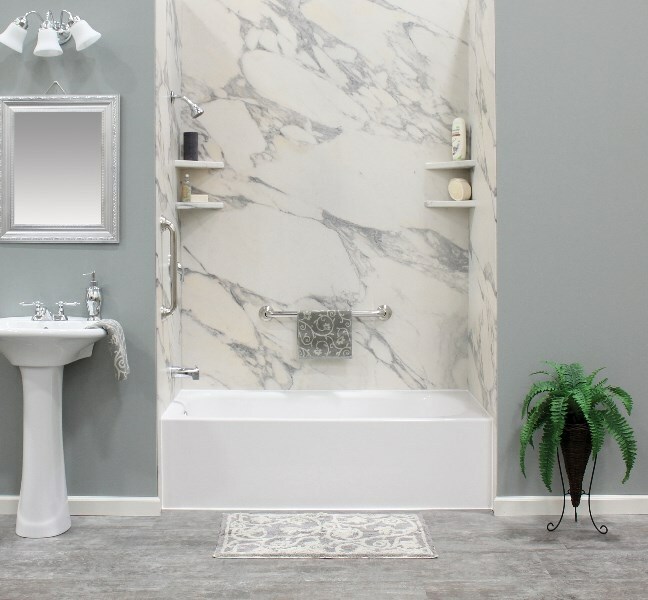 From replacement tubs to walk in showers, we’ll make sure you end up with a bath remodel that’s unparalleled in quality, luxury, and affordability! When it comes to an Ackworth or Greater Des Moines bathroom remodel, you simply can’t beat the expertise of Get A Pro! A fully licensed, bonded, and insured company, we’ve been providing customized bathroom remodeling since 1999. Because we care about your satisfaction, we offer 100% personalized tub and shower designs and convenient one day installs! We’ll even back your bath renovation with our own Get A Pro direct warranty. Replacement Tubs: Your new bathtub will be crafted from durable acrylic that’s resistant to chipping, cracking, and peeling. You can also choose your favorite built-in storage for body and shampoo! Replacement Showers: We offer shower enclosures in multiple colors and patterns and have numerous types of shower heads available. For greater accessibility, we can install walk in showers too. Kohler Walk in Tubs: Our Kohler walk in tubs come with grab bars to prevent slips and falls as well as hydrotherapy jets and a heated surface system for total relaxation. Bathroom Conversions: We can convert your shower to a tub or your tub to a shower with the same efficiency and cost-effectiveness. Whether you’re still collecting bathroom remodel ideas or are ready to move forward with your tub or shower replacement, Get A Pro is here to help. 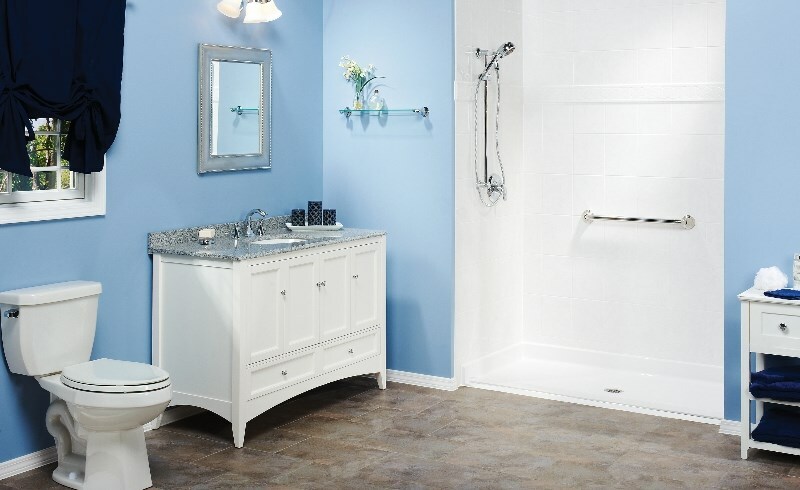 Just give us a call to speak with an Ackworth bathroom remodeling contractor today! You can also request a free consultation to review bathroom remodel pictures and explore pricing by submitting our online form now.